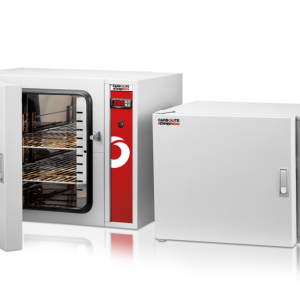 These economical forced-air convection ovens feature microprocessor PID control with auto-tuning and calibration functions commonly found on more expensive ovens. 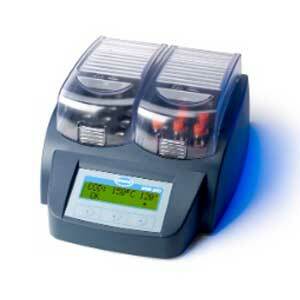 Digital timer up to 99 hours, 59 minutes and a delayed on/off feature offer the convenience of unattended operation. The dual-wall door opens 180° for greater access to the chamber. Rounded inner chamber corners offer easy cleaning and superior air circulation. 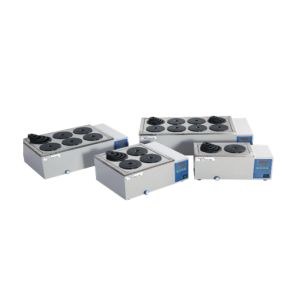 Two 1.5″ (3.8 cm) diameter vents are located on the top of the unit—adjustable ventilation provides control of inner air and vapor circulation. 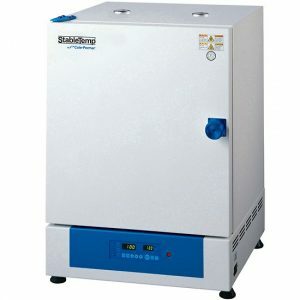 Mechanical convection ensures fast heat-up and uniform temperature throughout the chamber for greater drying efficiency. Ovens are programmable for delayed start and stop, and an integrated timer affords the convenience of unattended operation. The dual-wall door opens 180° for greater access to the chamber. Rounded inner chamber corners offer easy cleaning and superior air circulation. 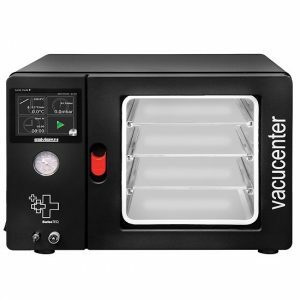 Two 1.5″ (3.8 cm) diameter vents are located on the top of the unit—adjustable ventilation provides control inner air and vapor circulation. 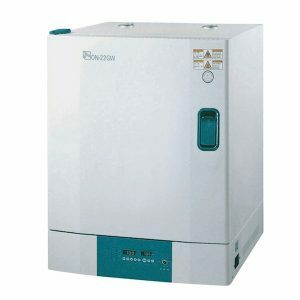 The FED series of ovens provide multiple capacities and are very adaptable to a variety of applications. 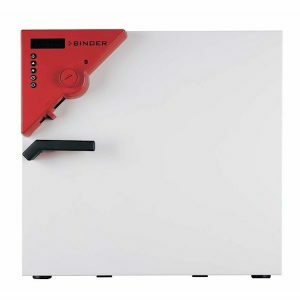 LCD contoller makes it simple to adjust the fan speed, control the exhaust flap and adjust the enhanced timer functions. With a temperature range up to 300°C these ovens maintain a high temperature accuracy thanks to APT.line™ technology. Other features include crome plated shelves, ethernet interface, USB port for data recording and an ergonomic handle design. 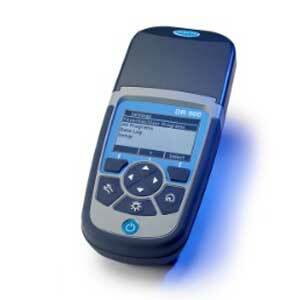 High energy efficiency saves operation costs. 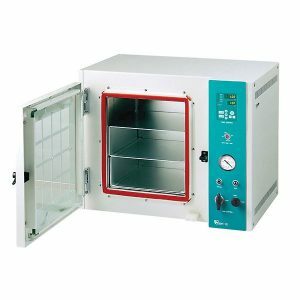 These natural convection ovens are suitable for all drying, sterilization, and precise warm storage tasks that do not require increased drying rates or special time factors. 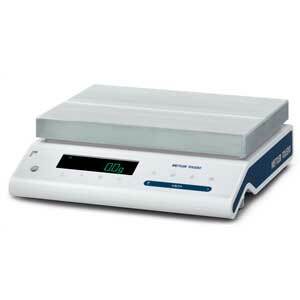 Ovens are microprocessor controlled, with an LED (Classic) or LCD (Avantgarde) display of time and temperature. 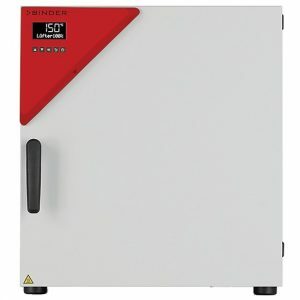 Binder ovens feature the Absolutely Precise Temperature (APT.Line) technology that has become the standard in precision temperature chambers — achieve temperature accuracy up to 300° with remarkably short heating and recovery times. An independently adjustable ISO Class 2 safety thermostat with visual alarm provides full protection against chamber overtemperature. These ovens can be stacked (except 9 cu ft models) to conserve valuable lab space. 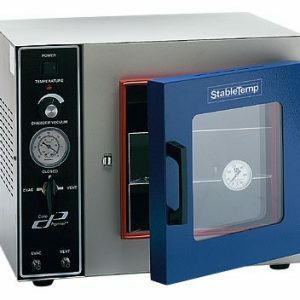 Oven controller offers safety and programmable convenience features such as user-specified start and stop allowing you to perform other laboratory tasks. 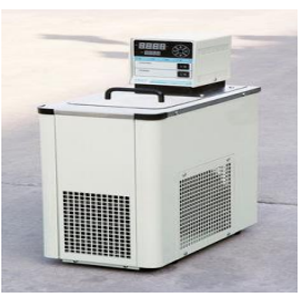 CLS (Custom Logical Safe)-Control system allows safety system to run independently of CPU performance controller — in the event of CPU failure, safety features are not compromised. These Ovens qualify for free freight through December 31st 2018 (available for contiguous United States only). 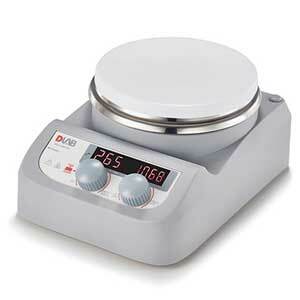 Ideal for carefully controlled processes such as desiccating, vacuum embedding, plating, and semiconductor processing. 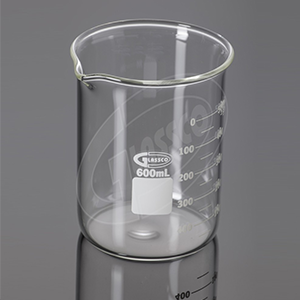 Control vacuum levels between 0 and 30″ Hg. Silicone door gasket and positive door latch assure a tight seal at all vacuum levels. A three-way valve allows easy evacuation, purging, and venting. The front-mounted stainless steel vacuum line fittings accept 1/4″ ID tubing. 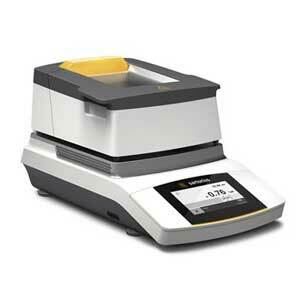 Separate vacuum and vent ports allow greater control of vacuum rates. Vacuum levels are maintained by a tightly sealed door gasket and push-button latch. 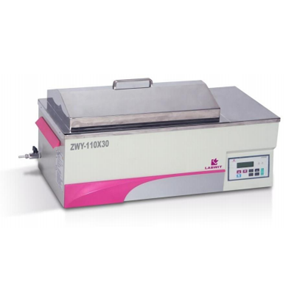 Block heaters and anodized aluminum plate shelves provide uniform heating throughout the oven chamber. 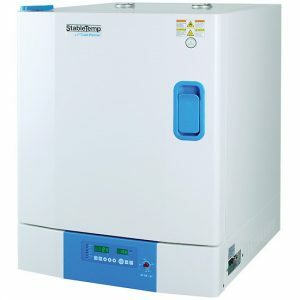 Electronically controlled APT.line™ preheating chamber offers safe and homogenous temperature distribution. Adjustable aluminum expansion shelves ensure optimal heat transfer within oven chamber. 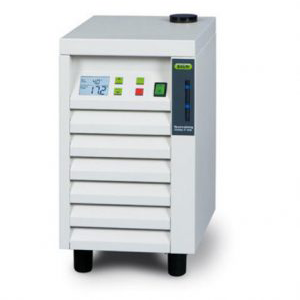 Perform a variety of heating and drying applications — ovens feature an individually programmable microprocessor controller with two programs with 10 sections each or alternatively one program with 20 sections. 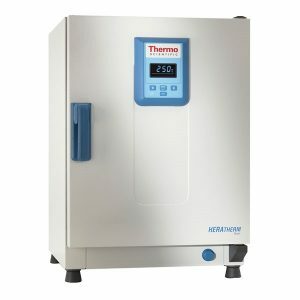 Convenient, integrated week program timer with real time function and digital temperature setting with one degree accuracy expand programming options. 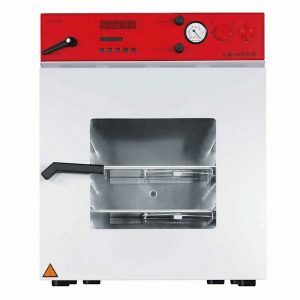 The Apex AX range of 250°C laboratory ovens comprises three bench-top sized models equipped with the R38 digital PID temperature controller.